Benefits Of Glass Surfaces - Tempered Glass Looking for Tempered Glass? The employees of Giovani Glass can easily turn fragile, delicate glass into a solid work surface that can cope with the tricks of a professional chef. 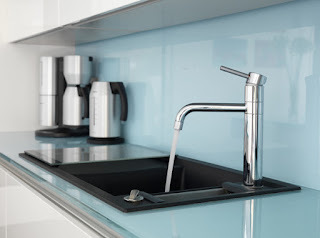 As a result of several stages of pre-processing the buyer gets the opportunity to buy a glass surface for the kitchen without a single flaw, but with a lot of advantages. Let’s talk about them. • Aesthetics. The first thing that you will notice in such a surface is the attractiveness of glass, designer appeal, refinement and elegance. Most users prefer transparent products, but it is quite possible to manufacture frosted, mirror, stone imitating, tinted, patterned versions. The glass visually expands the space of small rooms. And in combination with LED illumination the glass surface will make your kitchen unique. • Durability. Several layers of laminated and tempered glass withstand shocks, falling objects, and other mechanical damage. • Easy care and hygiene. 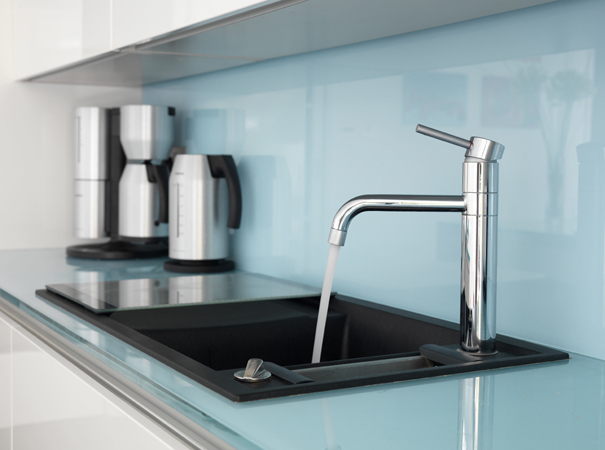 Buyers are often concerned about the care of such a product as a glass surface. It is enough to wipe the glass with a damp cloth with a mild detergent as it gets dirty. It is also hard to doubt the hygienic nature of the glass, because the solid texture will endure high humidity without giving a chance to the mold and fungus. • Heat resistance. It is very important for the kitchen that items in contact with cooking utensils have a high thermal threshold. Temperature drops are hot splashes are not scary for tempered glass. • Safety. 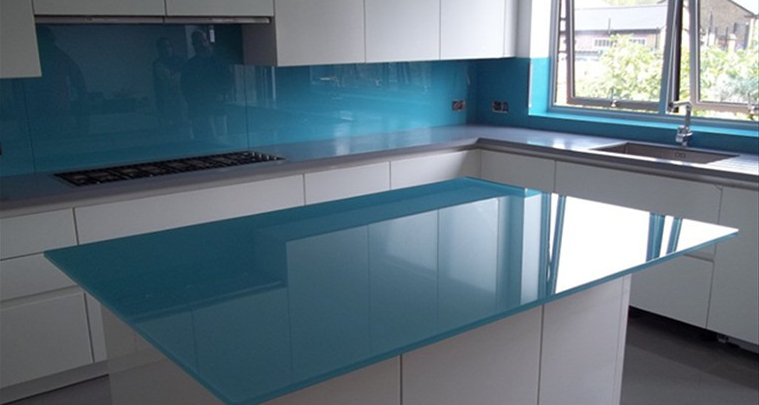 Do not be afraid to order a glass work surface for the kitchen - the material has a natural origin, so it does not adversely affect the environment. Eco-friendly glass does not emit harmful fumes, and thanks to the technology of triplex (several layers glued together) even broken, it will not damage the skin, because the fragments will be small and not sharp.